As the average lifespan increases, so does the risk of chronic illnesses. The U.S. Centers for Disease Control and Prevention (CDC) estimated that 80 percent of adults ages 65 and older live with at least one of these chronic conditions. For 50 percent of these people, it is at least two. More complex health conditions can be difficult to manage and people frequently become overwhelmed, but there are solutions that can make it easier for you and your parents to effectively manage their healthcare. Chronic disease management can require regular visits to multiple doctors and specialists, as well as a host of medications. Doctors’ appointments and prescription instructions can be hard to manage effectively for your parents and for you, if you’re helping them. If you think your parents need help managing their healthcare – someone to accompany them to appointments and ensure that their prescriptions are filled and the medications taken as prescribed – discuss the issue with them. Some people are sensitive when others, particularly their children, suggest they may need help. 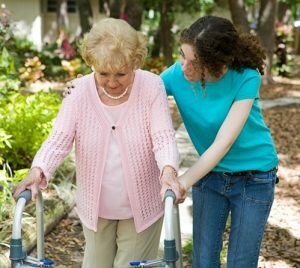 Be sensitive toward these feelings and reassure your parents that your assistance can help them live more independently. Make a list of questions to take with you during your parent’s appointment. When you accompany your parents to doctor’s appointments, tailor your questions to each specific condition that is affecting your parent. These questions should touch upon the nature of your parent’s symptoms, diagnosis, necessary medications, recommended diet and lifestyle changes. Additionally, ask about required medical tests and screenings, possible surgical options, costs and follow-up care. You should also inquire about any written instructions that need to be taken home. Many chronic diseases require prescription medications for proper management. In some cases, one disease may need several medications. If you or your parent have a hard time remembering what pills are necessary and when they should be taken, consult a pharmacist. These professionals have plenty of resources to offer. For example, there are special containers and drug dispensing devices that can store and organize pills and include reminder alarms to help your parents remember when to take their medication. Pharmacists may also provide large-print prescription labels for those with vision problems and easy-to-open medication dispensers for those with arthritis. If you are worried that your parent has too many prescriptions, review the medication list with his or her primary care physician or geriatrician. A universal medical record can be another valuable tool to help organize and manage your parents’ care. This service collects, stores and organizes all pertinent medical information – doctors’ notes, prescriptions and care plans – in one record that can be accessed, with permission, by any healthcare provider who treats your parent. This facilitates the coordination of services to make sure that all providers have the same, up-to-date information and do not make any care decisions that are redundant or harmful. There are a variety of resources and services available to help you and your parents manage their healthcare as their needs become more complex, from care managers to personal health advisors. Talk with your parents and their physicians to determine what solution will work best for their situation.